Antoing Castle was first mentioned in the 12th century. 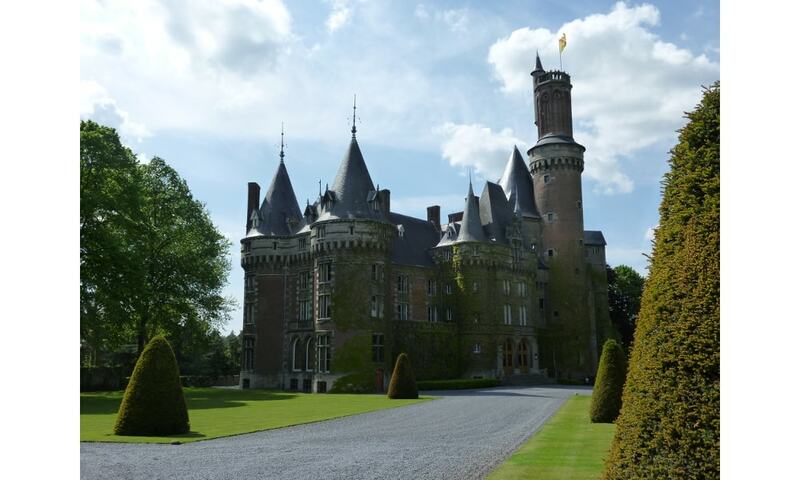 Although the present structure of the castle dates from the 13th and 15th centuries, it was redesigned in Neo-Gothic style in the 19th century by the French architect Viollet-le-Duc. The castle at Antoing first belonged to the powerful Melun family, then passed in 1634 to the Princes de Ligne by inheritance, who still own it.